PRO-Partnership was established in Qatar in 2010 with the express intent of providing corporate partnerships to foreign investors who wish to start or expand their business in Doha. Jane Ashford, director of PRO-Partnership says that, "as one of the fastest growing economies in the world and as a country striving hard to realize economic diversification, it was very important for PRO-Partnership to offer opportunities to foreign investors. In this way, our clients can contribute towards the expansion of Qatar's economic base and help to develop a strong private sector." Ashford further underlines how PRO-Partnership supports the National Vision 2030. "With Qatar encouraging the use of investment in different sectors, PRO-Partnership assists foreign entities to establish in a range of industries' such as real estate, education, finance and construction. 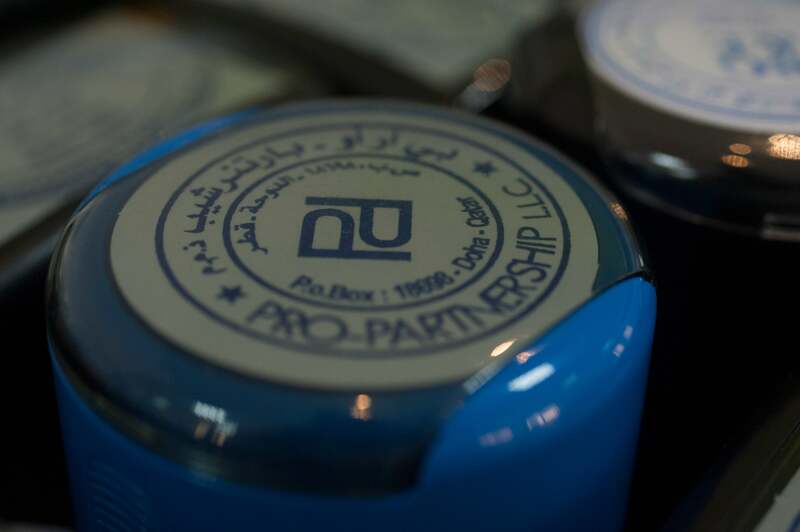 PRO-Partnership is 100% Qatari owned, allowing us to become the local share-holder in a corporate capacity protecting the investments of foreign entities establishing a legal presence in Qatar." Another reason to head to Doha? Qatar was also one of the world's fastest growing economies during the global economic crisis. "From 2008 to 2012 real GDP growth was 12%, compared to China's at 9%. Growth in Qatar is estimated at over 6% in 2014. In contrast, the IMF is forecasting world growth for 2014 at 3.6%," says Ashford, citing the UK Trade & Investment (UKTI) 2014. Qatar's economic growth is due to a number of different factors including the landing of the rights to host World Cup 2022; the implementation of the National Vision 2030; the plans to build a metro system in Doha and a national and international rail network by 2016; and the rapid population growth. "Qatar has significant oil and gas reserves, estimated to be 60 and 160 year respectively. Energy production per head dwarfs the other Gulf countries. Most of Qatar's major energy projects are now up and running and the government is using the revenue generated to diversify its economy," adds Ashford. However, when it comes to establishing a business in Doha, the most common method available to foreign investors is to operate under a Limited Liability Company (LLC). According to Ashford the company must have one or more local Qatari partners possessing a minimum of 51% of the shareholding. "The main challenges facing foreign investors include [aspects like] sourcing the right local partner, obtaining a minimum share capital of QR200, 000 and overcoming the bureaucratic process which involves procuring a number of licenses and visas as part of the set-up. Certain sector groups will also be required to obtain special licences, for example if you are engineers you will be required to register the company with Urban Planning, and obtain an engineering licence." In addition, one of the requirements for all LLCs is that they must have a registered office. "Finding the right size office space, in the right location, at the right price can also be challenging. Engineering offices will be required to have a minimum size office of 200 square meters." Ashford says that it's imperative to speak to the right contacts who are aware of the system and how it works. "Businesses should get good legal advice, to ensure that the business is set up correctly and in the best manner." In the UAE, setting up a LLC, Branch Office or Trade Representative Office is very similar to Qatar, but Ashford points out some differences in the options available to a foreign investor. For instance, the UAE offers the option of setting up within a free trade zone. Setting up as a free zone entity allows the investor to own the business 100% without the need of a local Sponsor or National Service Agent. There are numerous free zones in the UAE, and they are centred on business industry categories. "The key restriction of a free zone entity is that it is principally permitted to conduct business solely within its relevant free zone and is limited to performing solely those activities specified in its license. Unlike the UAE, the option of setting up within a free zone in Qatar is not readily available for foreign investors," explains Ashford. Another key difference is that in the UAE there is the option of setting up under a professional service license. Basically, professional business is defined as "work based on investing mental talents and acquired information." A Professional Licence/Civil Company is a business for professionals in recognized fields such as doctors, lawyers, engineers and accountants. A Civil Company can only practice professional business, and is 100% owned by professional partners. "This option does not apply when starting a business in Qatar. Lastly, if you're setting up an LLC in Qatar you'll be required to deposit share capital of QR200,000- this is not a requirement in the UAE." Billions of dollars are flooding into Qatar as a result of the World Cup 2022 and the country's National Vision 2030- many projects will be implemented within the next five years. The main sectors that PRO-Partnership has witnessed a huge increase of interest to invest in Doha include construction and infrastructure companies, security and safety organizations, and sporting and media companies. "Companies who undertake infrastructure- related projects are often strongly supported by the Qatari government," adds Ashford. In fact, as Qatar possesses one of the largest natural gas reserves in the world, and this coupled with recent legal liberalization, economic diversification, and a burgeoning economy simply means that there are ample opportunities for investment within many sectors. "Foreign investors can be reassured that Qatar not only offers economic stability but also a fast-growing and modern economy. Individuals can benefit from high personal wealth." Adding to how tiny the Emirate also offers a wide range of incentives to foreign investors such as attractive rental rates, exemptions on customs duties on imported machinery, equipment and spare parts for industrial projects, not to mention subsidized or nominal rates for gas, electricity and water. "In addition, the government may provide tax exemptions on corporate tax for pre-determined periods. Other personal benefits include tax free salaries, excellent medical and educational facilities and personal residency support." As previously mentioned, PRO-Partnership is 100% Qatari owned and is able to act as the local 51% shareholder to many foreign companies eager to set up within the state of Qatar. However, the management of the company is British with full power of attorney to manage the company on a day-to-day basis. "This business model has been reflected in our Abu Dhabi and Dubai offices, whereby PRO-Partnership is 100% Emirati owned also allowing us to become the 51% shareholder for foreign entities in the UAE," continues Ashford, "We, as the management team consider ourselves to be extremely lucky with our local PRO-Partnership shareholders in the UAE and Qatar. Without these amazing, influential partners we would not be able to run such a successful business." As a rule, QR200,000 is the requirement as a minimum share capital only in Qatar. In Abu Dhabi and Dubai it is not obligatory to deposit a share capital, unless if the establishment is a Foreign Branch or Representative Office in the UAE, then AED50,000 must be deposited. "In Qatar, the funds must be deposited in a bank of the foreign investor's choice, and can be removed once the company is established. It is therefore only necessary to retain the full amount of QR200,000 in the bank for period of around two weeks or less," explains Ashford. Do newly established businesses in Qatar generate profit faster than in any other parts of the GCC? "It's not easy to make a quick profit anywhere in the GCC, you have to work hard to establish the business, increase relationships within the community, and gain a good corporate reputation. However given time, with a strong market presence and growing client base, companies in the UAE and Qatar are rewarded with high profit margins." Ashford says that among the main factors which prevent a quick profit are the rising and already-expensive rents within Doha for both business and private residence, the high level of bureaucracy, the set up costs for any organization first coming to the country, and that price rather than quality, is often the most important factor in the buying decision. In addition to how the market is not well-regulated, especially regarding environmental matters. There are also often delays in payment, and the Qatari Riyal is tied to the U.S. dollar. In other words, when the dollar exchange rate is strong, Qatar becomes an expensive market for some countries. Nonetheless, most of PRO-Partnership clients are already well-established companies seeking to expand globally. "We have, however, helped some small SMEs and startups. We are very proud to be able to help a wide range of companies and our start-ups are now running professional, profitable businesses." She further reiterates how they like to assist their clients wherever possible in both the startup process as well as in an ongoing working relationship. "We can often help empower clients with information and trends in their specific industry as well as connect them with vital contacts for new business. We can also help to facilitate companies with their HR requirements. Obtaining visas for certain nationalities can often be a challenge." Although PRO-Partnership is witnessing more companies from all different parts of the world, most of their clients are from Europe, other GCC countries, and South Asia. "We also have a number of companies from Australia, America, South Africa, as well as an increasing number from Far East Asia. English is widely spoken and is the main business language. This, therefore, encourages English speaking nations to set up business in Qatar." Also, in order set up an organization in Qatar, the business is required to have a suitable office space prior to obtaining the trade license. "We have our own real estate team, PRO-Property, who offer our clients the best possible solution for their commercial property requirements. We are able to advise companies on the best option available to them depending on the size of the company, the company budget as well as the timeframe in which they wish to set up and start trading." Initially, many companies prefer to go into a fully-serviced business centre as they usually have a small team on the ground. Business centers offer a number of services that cater to startups in Qatar and the UAE, including administrative staff, meeting rooms and a dedicated P.O. Box number. "PRO-Property has the local knowledge on the availability of business centres in Qatar as well as which ones offer the best value for our clients' needs. After full establishment, most companies move into bigger office space, assisted by our team of experts," adds Ashford. In reference to the time frame prior to establishing a business in Qatar, it's approximately less than six months. According to PRO-Partnership, the exact time is much dependent on the client and the time taken for their company's documents to be notarized, attested, and legalized. In addition, it's also dependent on the approval time for the articles of association and other agreements. "From the very beginning, generally speaking it will take a company one to two months to receive their commercial registration and another two to three months to complete all of the processes including obtaining an office for their trade license approval and for the general manager to have his/her residency permit," says Ashford. On a positive note, in the UAE, such as in Abu Dhabi, the time frame is reduced on an average to two months from start to finish. 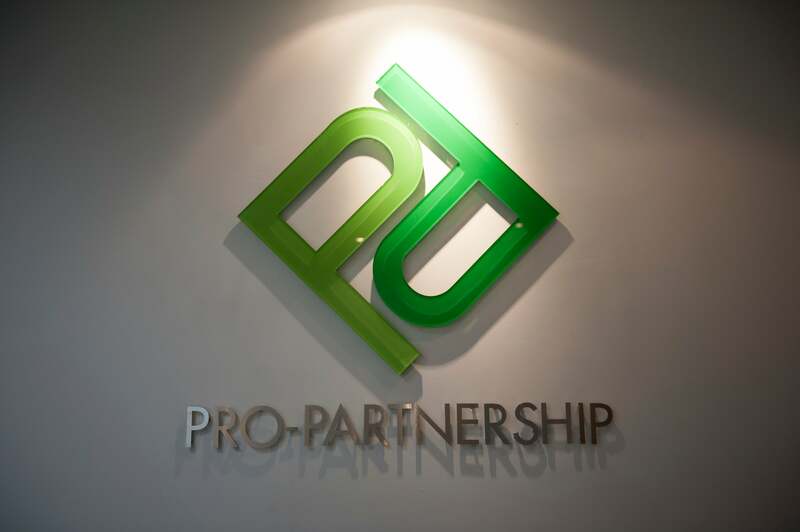 "PRO-Partnership has recently expanded into both Dubai and the UAE. 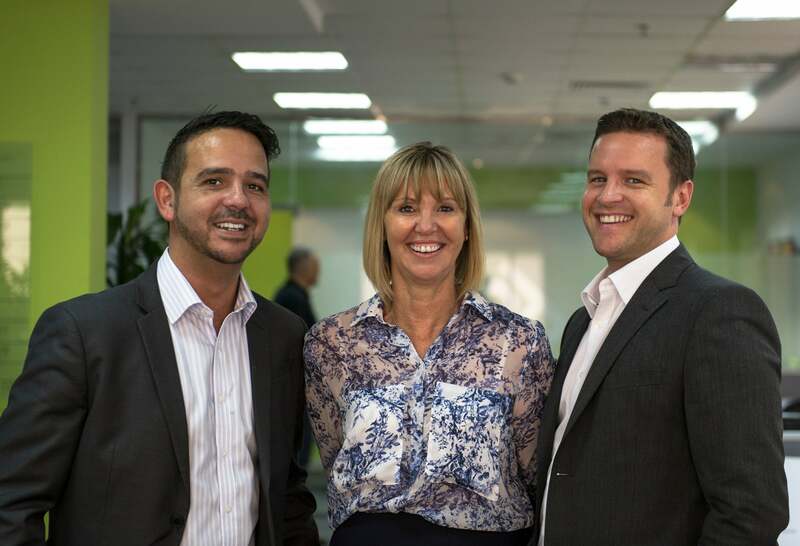 We took the decision to move into the UAE market after some of our current clients in Qatar specifically requested the services of PRO-Partnership to assist them in starting up in the UAE. For many international companies, it is practical to have one local partner throughout the region," and that one partner might as well be a pro. It certainly cuts through some of the red tape a lot quicker. What is required to start a business in Qatar? Depending on the type of business and the products or services they offer. The requirements differ between a Limited Liability Company (LLC), a Trade Representative Office and a Branch Office. All three types of business need a commercial registration as well as an immigration card, and a suitable office space prior to obtaining a trade license. Only an LLC will have articles of association and will be required to deposit a share capital of QR 200,000. All foreign entities must have their foreign documents notarized, attested and legalized, to enable it, to set up and start trading in Qatar. money is being invested in certain industries. In addition, networks for new business may be more easily accessible in Qatar. Although the UAE still offers a lot of opportunities, certain sector groups are more competitive and have a saturated market, making it more difficult for new foreign entities to get their foot in the door.